Former Justice Minister Jim Wallace, has apologised to the four fingerprint officers at the heart of the Shirley McKie case. In evidence to a parliamentary inquiry, Mr Wallace said he regretted what the forensic scientists had gone through. In 2000, he said the same thing about Ms McKie after he told MSPs her print had been misidentified. Before the Justice 1 Committee, he said he regretted that four experts involved continue to live under a cloud. Labour MSP Ken McIntosh pointed out that the four had never been charged with criminal activity nor found guilty under disciplinary proceedings and had never been allowed to return to normal duties. He said they continued to be vilified by McKie supporters. 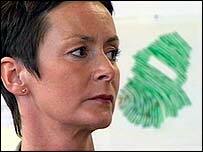 The probe was set up after political pressure over the case of former police detective Ms McKie, who was cleared of leaving her print at a murder scene in 1997. MSPs on the committee were also told quality assurance was not good enough in Scotland's fingerprint service in the aftermath of the McKie case. Former Chief Inspector of Constabulary in Scotland William Taylor had found the Scottish Criminal Records Office's (SCRO) fingerprint bureau was not fully effective and efficient after an inspection he carried out in 2000. He told MSPs there was much good work at the SCRO but said there was an introverted culture where experts thought that their way was the "best way". "Processes within the organisation were not as good as they should've been," he said. "The way in which you were made an expert was not as good as it should have been, the quality assurance processes were not as good as they should have been." It was Mr Taylor who, in the course of his inspection, commissioned European experts to re-examine the disputed print. They concluded that it was not Ms McKie's. This prompted the Scottish Executive to admit that it had been a misidentification. Ms McKie was awarded £750,000 in compensation from the executive earlier this year. Mr Taylor said that absence levels were high at the SCRO when he was asked about morale in the organisation during his inspection.